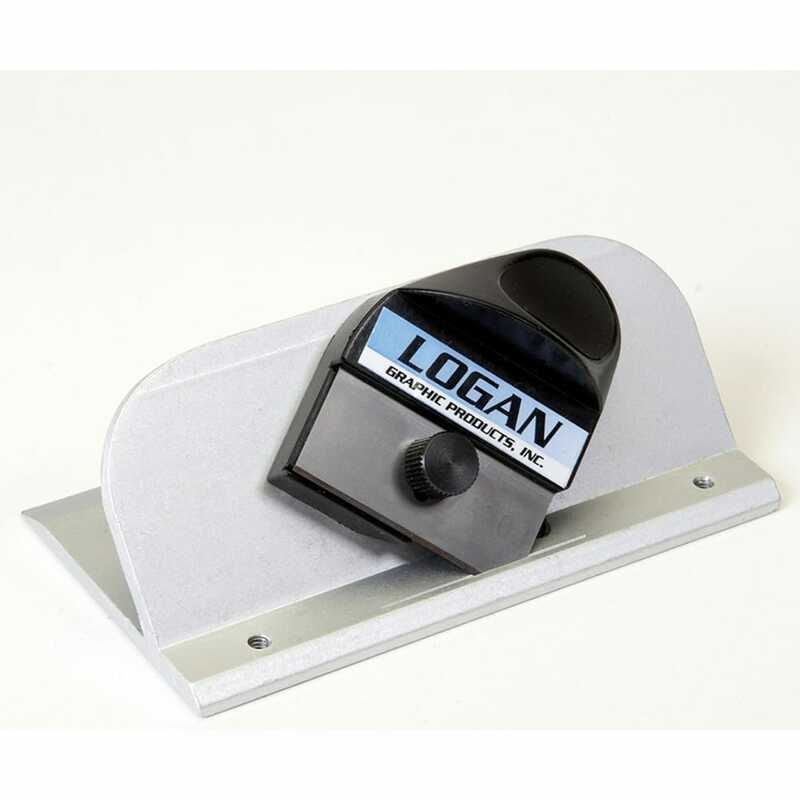 The Logan Push Style handheld mat cutter (model 2000) includes a retractable blade in our patented blade slot. The blade slot prevents blade flex, resulting in straighter cuts. A start-and-stop indicator helps to eliminate overcuts. Can upgrade for use on the Adapt-A-Rule straight edge and Compact or Simplex board mounted mat cutting systems. Uses Logan 270 blade.